Ladies like to put makeup on and look pretty and the Chinese ladies are no difference. 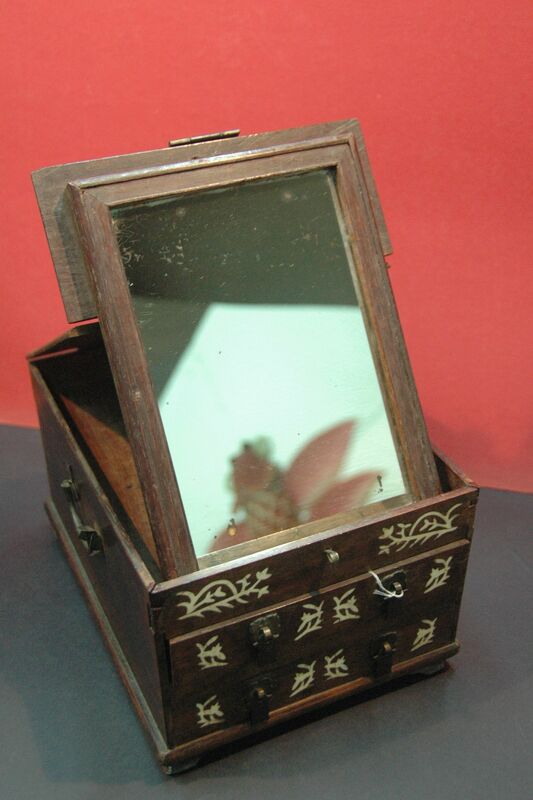 The concept of the Chinese vanity box has been around since the Sung dynasty; the mirror being part of the lid, can be folded away inside the box. The little drawers store all the essential rouge, eye liners etc. 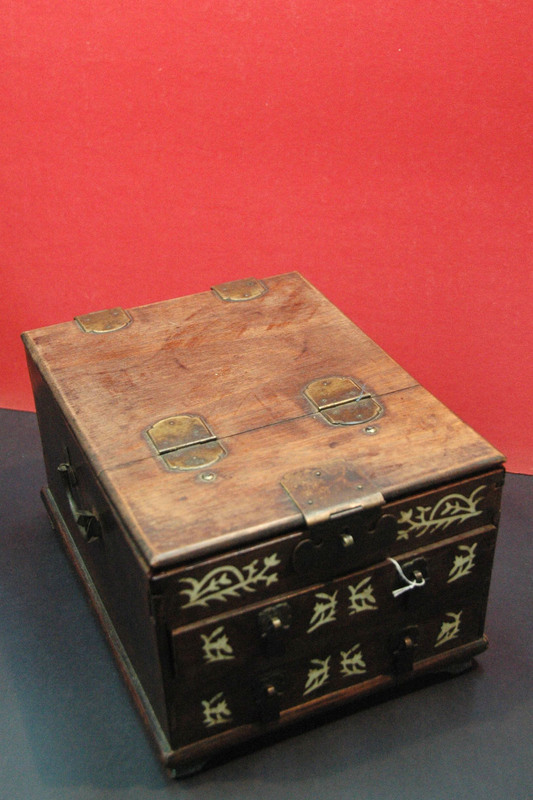 This box is decorated with the mother of pearl inlay.